When FMS comes to people’s mind they think of it as B-school with the best ROI. But FMS, is more than that It is the oldest management institute in India established in 1954. Here at FMS we have limited resources but that does not limit us from exploring, the students learn how to make the best of what is given. There are people from different regions of the country with different backgrounds, one of the best minds. 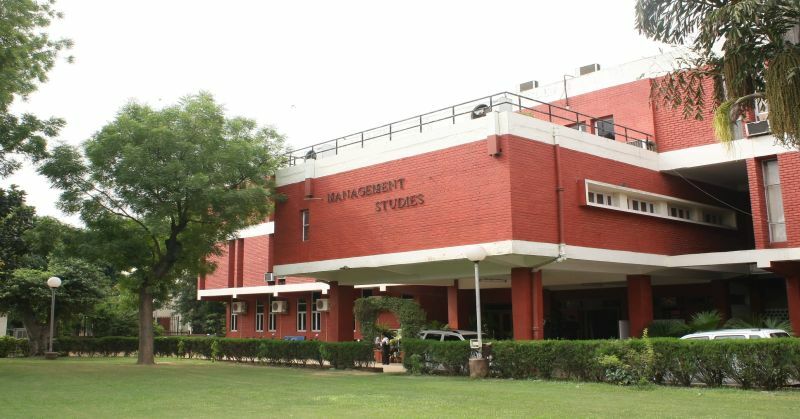 The campus is located centrally in the heart of Delhi. We have access to all the facilities that the Delhi University offers. The faculty members at FMS have experience of about 30 years and are PhD. We learn things not only through books and classes but through case studies and activities a perfect blend. Although we do not have enough hostel facility, the neighbouring areas like Malkagannj and Kamala Nagar are filled with the students of FMS. People have a unique kind of respect for FMS, whenever people get to know that we are the students of FMS they’re delighted and praise us. Of course, it is an achievement to study at such a prestigious college. We excel at every competition we participate whether its corporate events or Inter-college events. FMS is also known widely for its alumni network. Many notable persons have graduated from FMS. We always our alumni visiting our campus and motivate us to become successful and promote the brand FMS with our achievements. FMS has a legacy of securing stellar placements in terms of compensation and a wide variety of profiles. The placement report speaks for itself. We learn everything on our own by going out there and experiencing. We are humble and rise to the occasion like a phoenix. After all, It is called “The Red Building of Dreams”.